Nuphlo’s new album oozes of breakbeat and Jungle and ambient references with his trademark contemporary bass twist. UK based Nuphlo re-invents global dance and bass music. 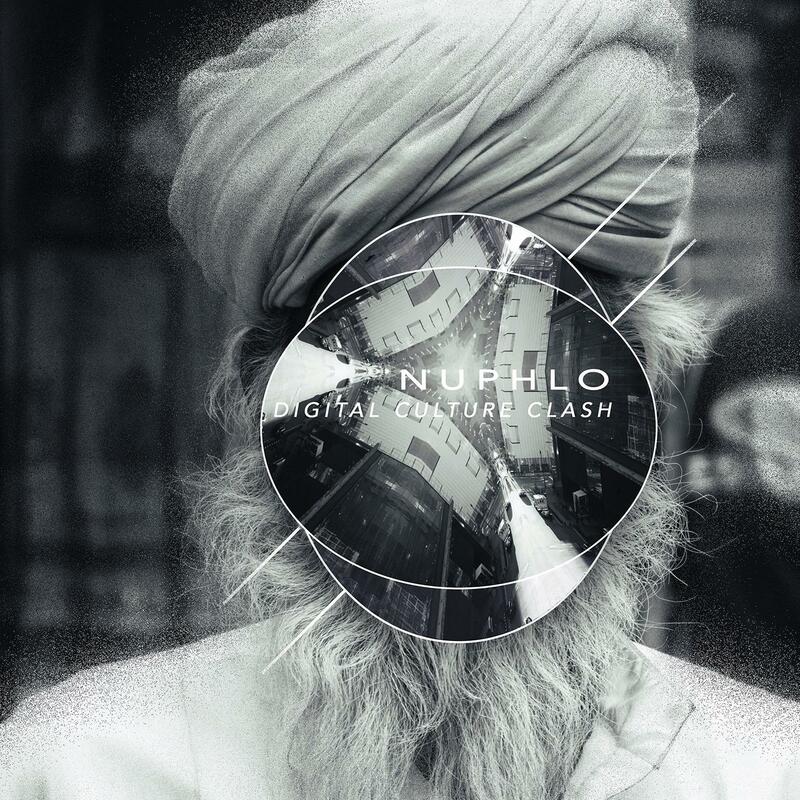 Nuphlo’s new album Digital Culture Clash oozes of breakbeat and Jungle and ambient references with his trademark contemporary bass twist. Crisp, slick and deep. Nuphlo weaves global melodies, scales, rhythms and flavours into the backbone of nu-skool electronic music. On this album Nuphlo demonstrates and celebrates the ability of internationally diverse ideas and feelings coming together by means of sound. In an age of cultural conflict, these transcultural sonic harmonies are more necessary than ever. The idea behind the album was to combine textures from around the world in a contemporary way. From Leeds to Jamaica to Istanbul to Mumbai to LA and everywhere inbetween. Spanning over references from various nu-skool genres, coming across like a mesh rather than a clash. Growing up in a culturally diverse city such as Leeds, Nuphlo has always been surrounded by music from a range of countries and cultures. As a child at home he was surrounded by pop and spiritual music from India. This integrated with influences from Reggae and Dub from Leed’s annual West Indian Carnival. In his teens Nuphlo was introduced to Asian Underground music. As a British person of Indian descent, this genre made sense. The idea of creating music that both sides of the cultural spectrum could relate to would be an ongoing mission for Nuphlo. The tracks on the album can be rinsed in the club, played in the lounge and enjoyed in the headphones. Two years of work, vision and crafting have gone into the 14 track journey. Digital Culture Clash has seen the collaboration of Nuphlo with a variety of musicians to create and updated version of the global bass music genre. In a time where walls are still being built to divide nations and where scare tactics within politics are creating mental divisions between cultures. This album is an attempt to demonstrate how breaking down cultural barriers creates something positive. All tracks Written by Manjinder Sandhu, Except 04. By Manjinder Sandhu, Amyn Merchant, NIv & Dan Doe, 05. By Manjinder Sandhu, Sukh Knight, Shivacult & Ajay Jayanthi, 06. by Manjinder Sandhu & Amyn Merchant, 08. By Manjinder Sandhu , Deelite MC & MC JD, 10. By Manjinder Sandhu & Shivacult, 13. By Manjinder Sandhu & Niv. All tracks Produced by Nuphlo, Except 05. By Nuphlo & Sukh Knight. Musicians: 01. Vocals performed by Tanya Jacobs, 03. Guitar performed by Mel Gray AKA Eating Betty, 04. Guitar performed by Amyn Merchant, Vocals by Niv and Dan Doe, 05. Vocals performed by Shivacult, Violin performed by Ajay Jayanthi, 06. Guitar performed by Amyn Merchant, 08. Vocals performed by Deelite MC and MC JD. Additional vocals by Anekh, Aryan & Reyna, 10. Vocals and Saxophone performed by Shivacult, 13. Vocals performed by Niv.